Veterinary nurses work alongside veterinary surgeons providing nursing care to a variety of animals and making a real difference to the lives of animals and pets. Currently, there is a nationwide shortage of qualified veterinary nurses so job prospects upon graduation are excellent. This course will give you the skills and knowledge to be successful in this field and apply for entry on the Royal College of Veterinary Surgeons (RCVS) Register of Veterinary Nurses. 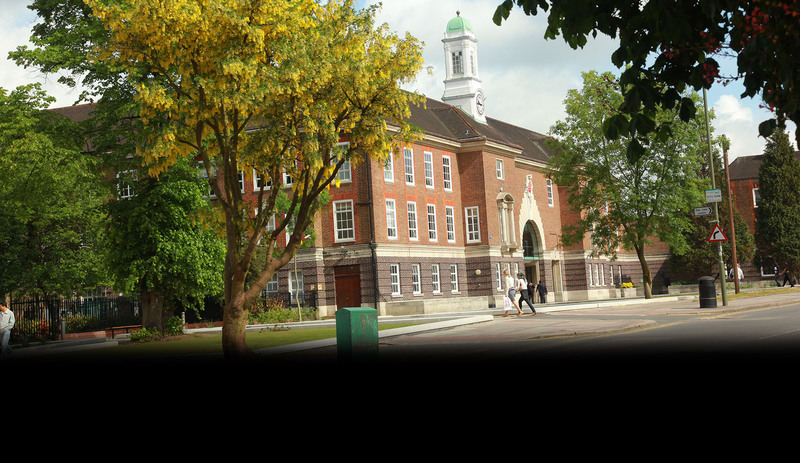 Why study BSc Veterinary Nursing with Foundation Year at Middlesex University? This course offers an alternative entry pathway onto the BSc Veterinary Nursing for those who do not meet the necessary entry requirements or are not quite ready to undertake degree level study. After the foundation year, 50% of your time will be spent on clinical placement in veterinary practices arranged for you by the Placement Liaison Team, gaining vital practical skills and experience. The foundation year introduces key veterinary nursing topics as well as preparing you to study at degree level. Those who successfully pass the foundation year will continue onto the BSc Veterinary Nursing programme. You could then even continue into postgraduate study with courses such as veterinary physiotherapy. This programme has direct accreditation from the RCVS meaning that you will be able to apply for professional registration without the need for further assessment. It is by means of RCVS registration that veterinary nurses achieve their highly valued professional status. The programme is run in collaboration with The College of Animal Welfare (CAW) at its education and training centre near Huntingdon (Cambridgeshire). What will you study on BSc Veterinary Nursing with Foundation Year? During the foundation year you will look at key veterinary nursing topics whilst developing your study skills. Continuing into the BSc degree you will study the practices and principles of veterinary nursing to prepare you for professional registration through both classroom study and clinical work placement. As well as gaining veterinary nursing knowledge and skills through extensive clinical placement in veterinary practice, you will also have the confidence and skills to make professional decisions and be able to work both independently and as part of a close knit team as necessary. This module aims to prepare you for undergraduate study on your chosen veterinary nursing programme, equipping you with the necessary soft skills and study skills to enable a smooth transition to study at level 4. The module principally aims to address the core subjects of: English and academic writing; use of number and applied mathematics; and Information Communication Technology (ICT). You will engage in a research project specific to the veterinary nursing sector and apply the knowledge and understanding gained within the other three modules of this foundation programme. Additionally, the module provides an opportunity to develop the soft skills and employability skills that are vital to continuation on to the veterinary nursing degree and within the veterinary nursing profession post-qualification. This module explores the fundamental principles and concepts in animal anatomy, principles of genetics and basic laboratory skills in preparation for future study on veterinary nursing undergraduate programmes. Within this module you will gain a basic overview of what it means to join the veterinary nursing profession alongside essential basics of health, disease, behaviour and welfare. The module aims to ensure that you have a good grounding in subject areas relevant to veterinary nursing in preparation for continued study on undergraduate veterinary nursing programmes. The aims of this elective module are to enable you to play a key role through a process of critical reflection and planned action in developing managerial competence within the veterinary practice through the establishment, maintenance and improvement of the quality of veterinary nursing you provide, the use of a problem-solving approach for effective nursing management and leadership, and through the awareness, control and monitoring of the use of appropriate veterinary care resources for quality and effective nursing management. How is the BSc Veterinary Nursing with Foundation Year taught? The foundation year consists of 24 weeks requiring full-time attendance in lectures, tutorials and directed learning followed by a blended learning approach of 50% practical experience and 50% theoretical study, of which about a third is delivered online. You will be assessed by a variety of means including examinations, practical assessments, coursework, reports, presentations and reflective journals. Preference will be given to those who have achieved the above additional qualifications in science or animal related subjects. Prospective applicants who are over 21 years of age and meet the minimum of 5 GCSEs at grade C or above including Mathematics, English Language, an a Science subject, but do not hold further qualifications, but who can show high levels of ability and experience within the veterinary care sector (evidenced by a supportive reference by a veterinary practice principal), are also invited to apply. All applicants must have completed a minimum of four weeks work experience in a veterinary practice and be able to provide a satisfactory reference from the practice head nurse (Registered Veterinary Nurse) or practice principal (veterinary surgeon) supporting their suitability for veterinary nurse training. Please see further information below. Additional work experience with a range of animals in a variety of contexts is also encouraged. After initial screening of applications, selected students will be invited for interview. It may be possible for international students to be interviewed by Skype. We are not able to consider applicants who require a Tier 4 visa to study this course. Due to restrictions placed on students with a Tier 4 visa undertaking part-time study by the UKVI, courses requiring a placement cannot be studied by International students. Nationals from outside the EU who are resident in the UK are considered. You must have competence in English language to study with us. The most commonly accepted evidence of English language ability is IELTS 6.0 (with minimum 5.5 in all components). If you don't meet our minimum English language requirements, we offer an intensive pre-sessional English course. Prior to applying for this programme, all applicants must ensure they read the Royal College of Veterinary Surgeons (RCVS) Disability Guidance on the Recruitment of VN Students. How can the BSc Veterinary Nursing with Foundation Year support your career? There is a UK nationwide shortage of registered veterinary nurses meaning the profession offers excellent career prospects within veterinary practice and the wider industry. Veterinary nurses are respected throughout the animal welfare sector. Although many veterinary nurses are employed in general veterinary practice, others work in referral centres, universities, colleges, zoological/wildlife parks, charities and for pharmaceutical companies. Post-graduation opportunities, with further training, exist in areas such as research, veterinary physiotherapy and animal behaviour. Dr De Franco qualified as a Vet from the University of Glasgow and worked for many years in Small Animal practice. She has been lecturing at The College of Animal Welfare since 2010 and has been involved in many aspects of work there. She is on the BSAVA Education Committee and has also worked as a technical consultant for Awarding Bodies. Her MSc in Educational Leadership involved lots of research on veterinary nurse training so she is always keen to explore ways of improving things.